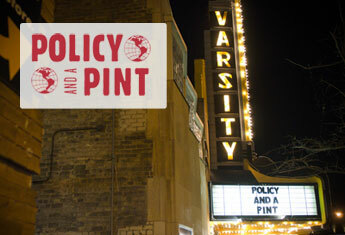 The next Policy and a Pint will feature Minnesota Rising blogger, Diane Tran, and Chris Farrell, discussing "The Looming Intergenerational War." With the likes of Esquire, The Atlantic, and independent bloggers weighing in on the topic of the battle for resources between the young and the aged, what say you? St. Paul, Minn. — If we're to believe the wave of recent articles in magazines and newspapers, there's a new inter-generational conflict brewing. The Baby Boomers are sticking it to the Gen X-ers and Millennials: they ran up the debt and blew up the economy, yet they'll still get all the entitlements they expect as seniors - while the younger masses inherit the mess and a much bleaker personal future for themselves. But is it really that simple? We'll investigate at our next Policy and a Pint, presented by 89.3 The Current and The Citizens League. Join Steve Seel and special guests, including Economist Chris Farrell from MPR News and Diane Tran from the young professionals group Minnesota Rising, for "Policy and a Pint: The Looming Intergenerational War,"
Doors open at 5:30, program begins at 6 p.m.
Policy and a Pint is co-presented by 89.3 The Current and The Citizens League.